Innovation is critical to value creation and business development. By applying novel ideas in business operations, The Link's team is adding value and offering new services to benefit a wide array of stakeholders, including tenants, customers and staff. Since IPO, The Link has completed 25 asset enhancement projects, bringing about enhanced shopping experience for visitors, more business for tenants, and more employment opportunities for community nearby. A key for The Link's drive for enhanced customer experience lies in a corporate culture that values innovation. With a view to inspiring new enhancement ideas, The Link's team is approaching renovation works from the user's perspective, and learning from the success stories of overseas retail facilities. 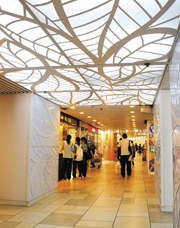 The asset enhancement stories of Stanley Plaza and Tai Yuen Market are the best showcase of how innovative ideas are generated and applied in renovation works. Stanley Plaza incorporated inspiration from Darling Harbour, Sydney, while Tai Yuen Market adopted numerous elements of Santa Caterina market in Barcelona. 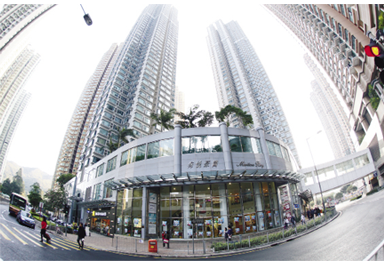 In 2011, The Link completed a HK$227-million asset enhancement programme for Stanley Plaza to unlock the centre's full potential, and turn it into iconic, family-oriented lifestyle destination. The Plaza is not only the first "dog-friendly" property for The Link, but also its first shopping centre to achieve BEAM green building Platinum standard. New green features include green roof to reduce heat load and beautify the environment, wind-powered lamp posts, and environment-friendly building materials. A new observation deck on the fourth floor, newly designed escalator covers, and improved amphitheatre canopy allow visitors to enjoy unobstructed sea view. The revitalized Tai Yuen Market in Tai Po has set a new standard for market renovation. Improvements include relayout of shop floors, installation of air conditioning and a more diversified trade-mix. The market is also the first in the fresh market sector to support Octopus payment. The property's new modern look has drawn new customers. In view of the better business prospect, more second-generation members of existing store owners are willing to take up the family businesses, contributing to the sustainable development of traditional fresh market culture. The Link Tenant Academy was launched in 2008 to support tenants' business development by helping them sharpen business skills and stay abreast of market trends. Introduced in 2011, the Mystery Shopper Programme aims to support and encourage service improvements among frontline staff. Frontline property service contracts were updated recently to provide more value-added services to tenants. shoppers, and add value for the community and unitholders. 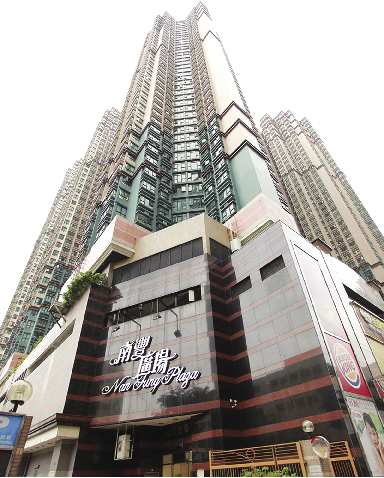 (predominantly retail-based) developments in Hong Kong.